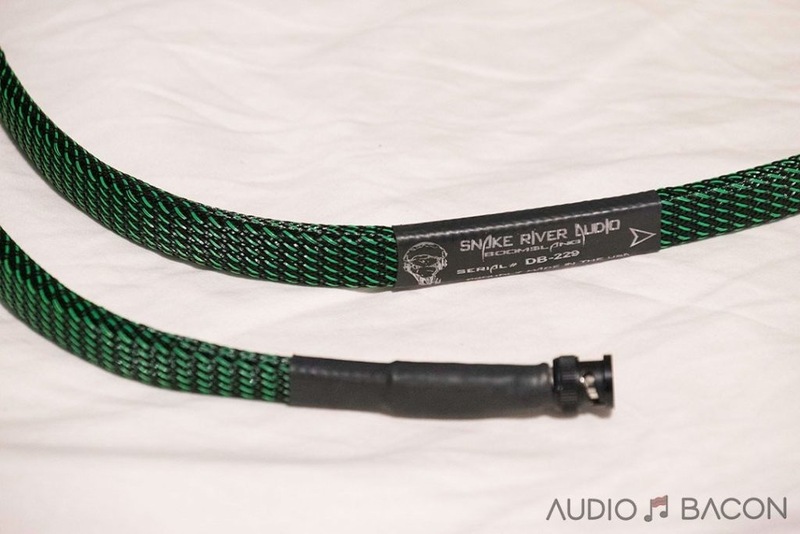 Who is Snake River Audio? 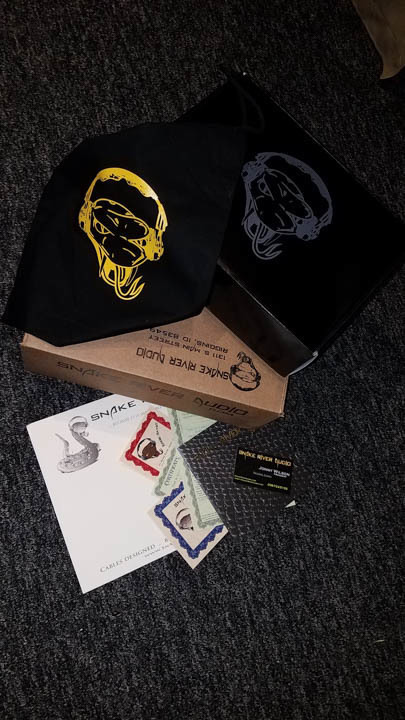 Snake River Audio is located in the Pacific Northwest of the USA, right next to Hells Canyon, the deepest gorge on the North American continent. The area is well known for its abundance of wildlife, whitewater rafting, fishing, rivers, high mountain lakes and deep canyon gorges. Their line of cables is named after species of poisonous snakes around the world. 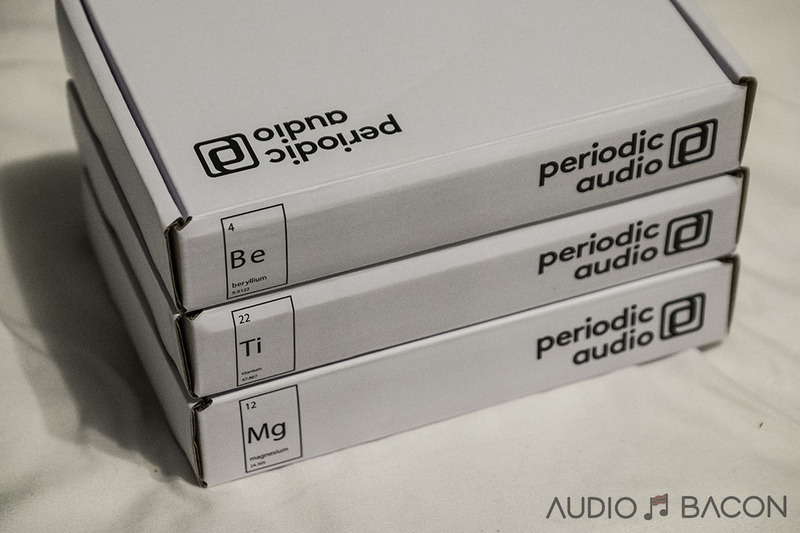 Given how good this cable already sounds, the packaging is also very nice. 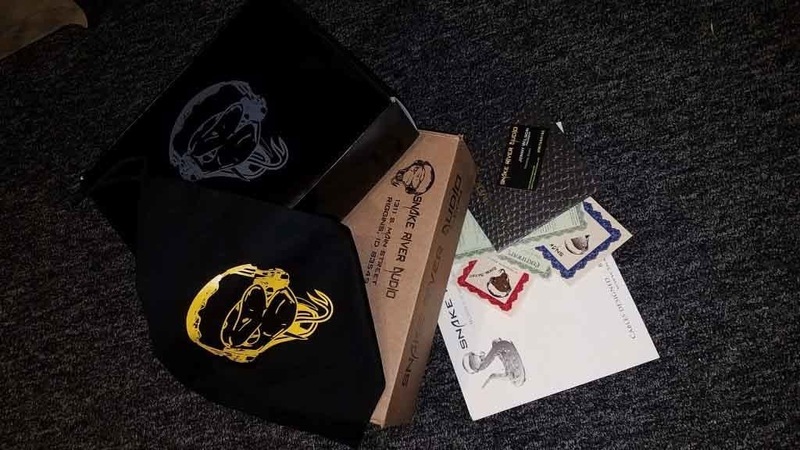 A vacuum sealed cable inside a black bag with Eddie (their mascot) on the front. The cable and paperwork are then all packaged inside the black box. It is then shipped in the brown shipping box (or a larger box if necessary). 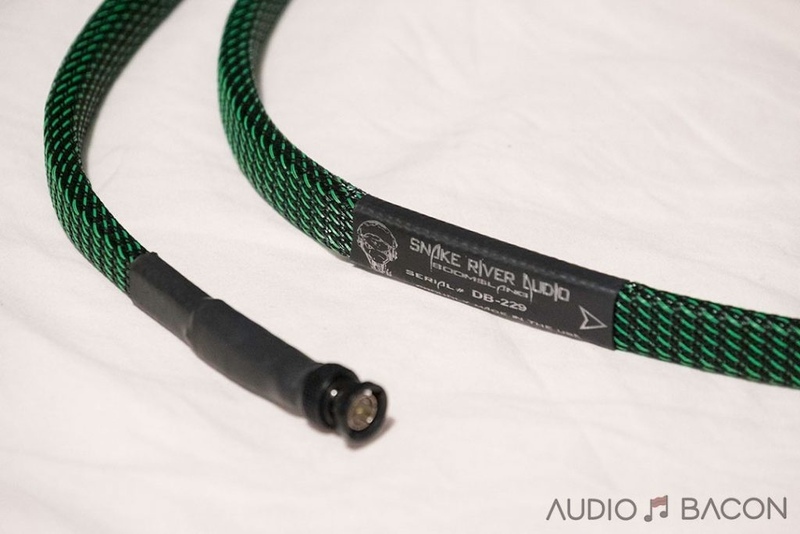 If you look up how a boomslang snake looks like…you’ll see how this cable got its look. Cute ain’t it? This is the only non-coaxial digital cable I’m aware of. Its unique “flat” design utilizing solid-core silver conductors with a magnetic shield. 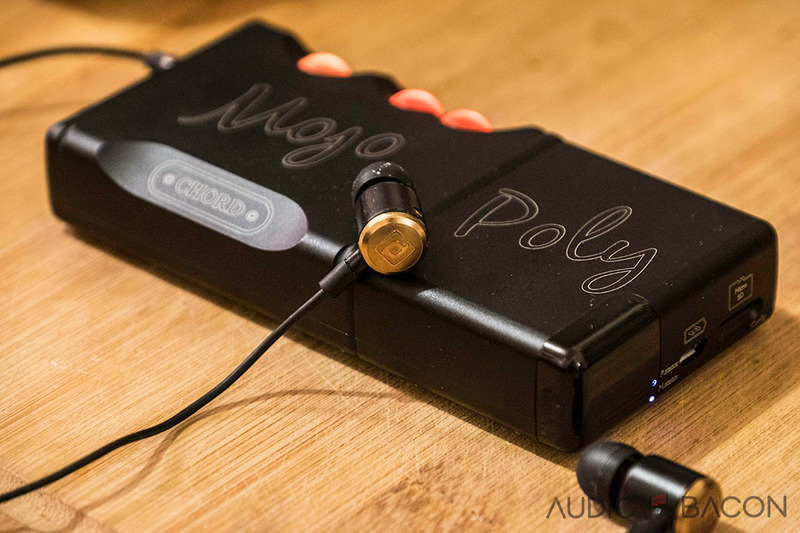 It is a true 75-ohm cable and is meticulously built to spec. The primary reason for the non-coaxial design is due to the choking of bandwidth in conventional coaxial designs. 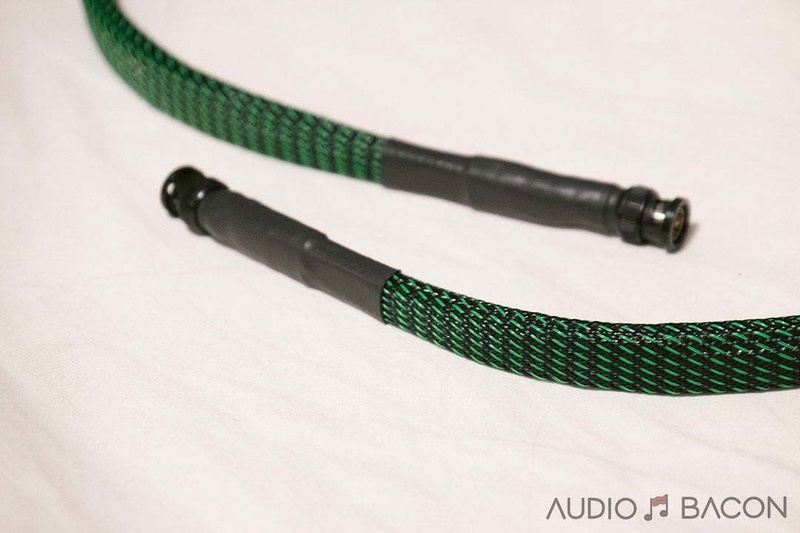 Our Boomslang Series of digital cables are hand-crafted one at a time with meticulous attention to detail. We start by taking our own high quality, pure silver (.999) wire. 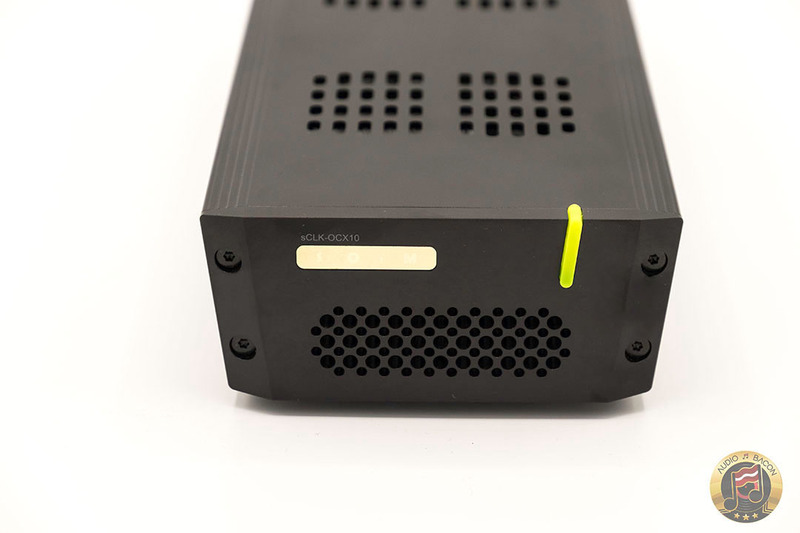 We utilize Single Solid Core wiring – not hundreds of signal-reducing tiny strands. After extensive tests and trials, we’ve determined that the minimum length of a Boomslang cable is 1.37m. This is to avoid the very common issues of jitter and loss-of-focus that other digital cables suffer from. Magnetically shielded in a multiple pole magnetization pattern, so the magnetic strength is distributed evenly across the surface. The Boomslang wasn’t built to sound a certain way. Their goal is to use high-quality conductors, insulation, connectors, and to make sure bandwidth, impedance, and capacitance all check out. All while keeping costs reasonable. 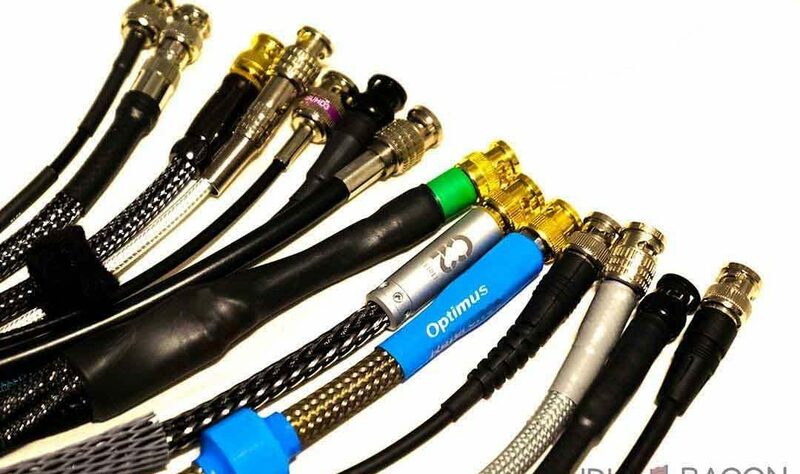 If you take a look at their product page, all their digital cables are priced similarly, no matter which configuration you choose. When I first heard this cable, I didn’t know it was directional. Over time I realize my notes were getting a little inconsistent with comparisons with other cables. A good look at the label and you’ll see an arrow (facepalm). Interestingly enough, one direction has more clarity and air and the other is warmer and denser. I personally preferred to go against the grain for the fuller sound. 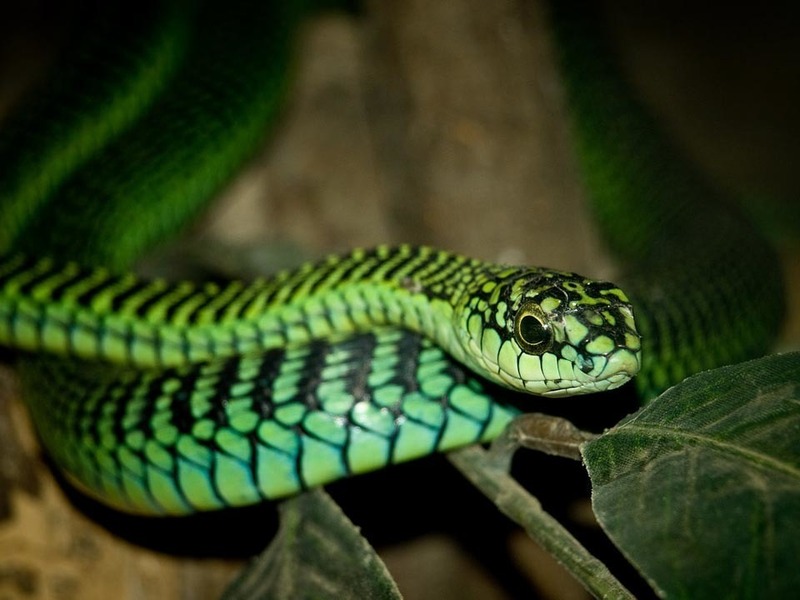 In a way, you get two cables in one – a two-headed Boomslang! Pretty cool. So the first thing I noticed about this cable was how natural voices and instruments were presented. It didn’t exude “atmosphere” or “clarity” but it sounded raw, accurate, and unadulterated. 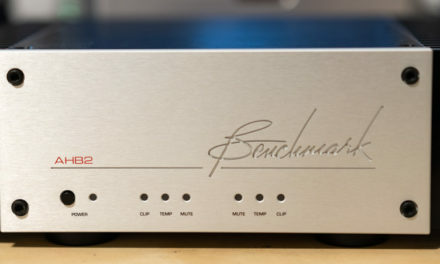 In fact, this is the rawest sounding cable I’ve heard so far. It’s a very good thing. It’s also the cable that has rid me of the notion of how silver is supposed to sound. 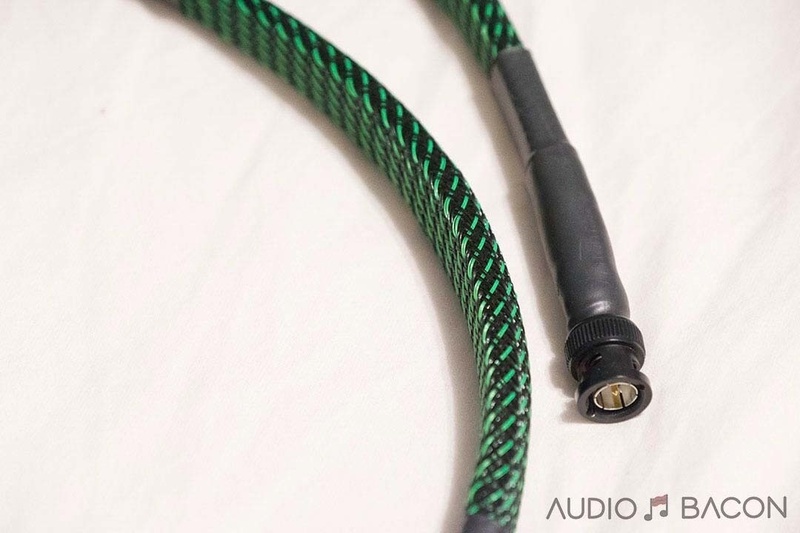 Along with the WAVE Storm Reference, this is one of the warmest sounding BNC cables I’ve reviewed so far. Both of which are made with 5N silver. Bass has granular definition, weight, and slam. 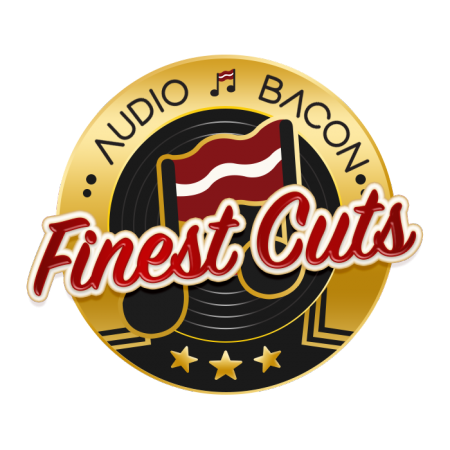 It’s more balanced than overly assertive so bass strings don’t really extrude towards you – but have a more palpable and lifelike presence. I feel this gives way to a more refreshing, genre-independent sound (as opposed to a thick and cloudy overlay). I was able to enjoy Hip-hop, R&B, orchestral, pop, metal – everything. Mids are organically reproduced with very warm-blooded and convincing clarity and color. By far its most addictive quality. Given its ability to provide this level of tonal body and warmth, I expected the highs to be a bit rolled off. This isn’t the case. The Boomslang is able to naturally reproduce the shimmer and excitement of crash and splash cymbals – as well as the upper octaves of a soprano with tangible clarity. From soundtracks like Gladiator and The Dark Knight to tamer acoustic recordings, the Boomslang morphs appropriately. Percussive focus and nuance, in particular, is impressive. Truer tonality and contrast. In its reverse orientation, it probably has the most organically detailed voices I’ve heard so far. It’s believable in both body and detail. A dream cable for midrange-chasers. Meat on the bones. This cable has a well-formed body and textural cues. In my opinion, it has more artistic intent than 99% of these cables. Although the tradeoff for a richer sound is a less present treble, this isn’t the case with the Boomslang. It’s still able to allow cymbals and strings to shine appropriately. Another surprise is how accurate it presents soundstage. It’s not overly wide or infinitely deep. It gives me the impression that it’s a pass-through of the sound. It strikes the ultimate balance between body, warmth, transparency, and clarity. Musical gradations are also top-notch. Delineation isn’t super crisp but still flows and tickles the senses. It’s not as quiet, treble present, speedy, or as resolving of the lower level details – but from a musicality standpoint, I feel it provides enough of those qualities. Not the most outwardly “dimensional” and “outlined” sound. Some reverb, reflections, and decays aren’t made as apparent – but are still very audible. Due to its emotive and euphoric sound, the Boomslang is a cable I gravitated towards more and more during my listening. It has now become a reference. If you value a balanced yet dynamic sound with an accurate tone to boot, the Snake River Audio Boomslang gets my highest recommendation.